The Eurasier is widely known as a wonderful companion. The Eurasier is widely known as a wonderful companion that maintains its own personality, has a dignified reserve to strangers, a strong bond to its family and that is relatively easy to train. This is a young breed with the best qualities of the Chow Chow and the Wolfspitz (Wolf-Chow.) Then later was crossed with a Samoyed and renamed Eurasier. The Eurasier is devoted to his family but takes a while to warm up to anyone else. He’s usually not aggressive towards strangers, but he doesn’t like them to pet him. If you want a dog that loves everyone at first sight, don’t choose a Eurasier. When they are part of his family, the Eurasier is tolerant of children and other pets. He’s an excellent watchdog, alert but not noisy. Early and frequent socialization will help you bring out the best in your Eurasier. The Eurasier has a low activity level and can live happily in any home, including an apartment or condo. One or two brief walks daily will satisfy his exercise needs. This is an intelligent dog that is willing to learn. He responds well to clicker training and positive reinforcement techniques such as play, praise, and food rewards. Keep training sessions short and fun so the Eurasier doesn’t get bored. The Eurasier has a lot of coat, but he’s easy to groom. Brush him once or twice a week to remove dead hair. He’ll shed heavily twice a year, for about three weeks, and during that time you’ll want to brush him more often to keep the loose hair under control. The only other grooming he needs is regular nail trimming, ear cleaning, and dental hygiene. The Eurasier has a blue-black tongue, an inheritance from his Chow-Chow forebears. 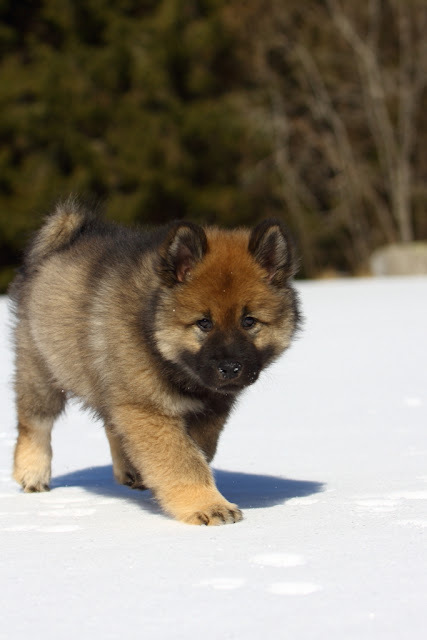 The Eurasier’s long coat can be any shade of red, wolf gray, black, or black and tan. The people-loving Eurasier needs to live in the house with his family. 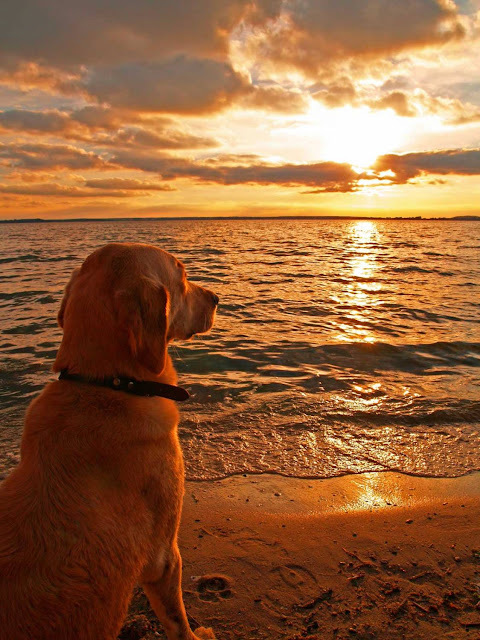 He sat there peacefully watching the sunset, then turned to me as if to say it's time to go home. Huntington Beach State Park is a dog friendly park year-round. A sweeping Grand Strand beach, pristine and wide open, stands as one of the most recognizable South Carolina landmarks. Revel in sea-breeze camping, the finest has to offer and some of the top bird-watching on the East Coast. That’s not all Huntington Beach State Park has to offer.